Susan holds a Master of Arts degree in vocational rehabilitation counseling from New York University, and is a Certified Rehabilitation Counselor, Certified Disability Management Specialist, and Certified Case Manager. Prior to entering private practice, Susan was a Vocational Rehabilitation Coordinator for The Hartford in Houston for 6 years, responsible for design and implementation of their innovative return to work program. She has held a certification from the US Department of Labor. She has extensive experience in disability management and vocational rehabilitation service provision for numerous long-term disability and workers' compensation carriers. Susan has extensive experience in Longshore, DBA and Jones Act cases. She provides vocational consulting and expert testimony for the Office of Hearings Operations as well as for numerous law firms, both plaintiff and defense, throughout the US. She is a member of the International Association for Rehabilitation Professionals (IARP), the National Rehabilitation Association (NRA), and the Texas Rehabilitation Association (TRA), and served as the program coordinator for the state professional conference for the years 1996-1997 and 2013-2014. In 2016, she received a recognition award from the TRA President for outstanding dedication to the TRA mission. She is a member of the Houston Area Rehabilitation Association (HARA), actively serving as a board member as well as serving as co-chair of the 2014 conference and as the organization’s president in 2015. She was the President for 2017 and wrote and won the proposal for the national conference to be hosted in Texas. Susan has given presentations at Workers’ Compensation Institute’s Educational Conference in Florida and at numerous other venues. She also received the Meritorious Award Southwest Region 2017 and NRA President Award 2017. Susan has received the TRA President Award 2018 as well as the T.K. Bridges Practitioner Award for 2018. Susan is a 2019 Board Member of the National Association for Multicultural Rehabilitation Concerns. She is an active volunteer in her community as a member of Mother’s Against Cancer and the National Charity League. Cecile, a Certified Rehabilitation Counselor and Licensed Master Social Worker has over 35 years’ experience in vocational rehabilitation service delivery. 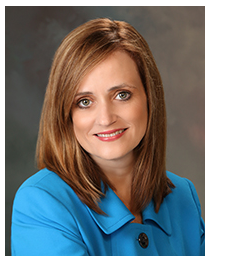 She and Susan have worked together as professional associates since 1995, and in 2005, she joined Rapant-McElroy. For six years prior to that, she was a Vocational Rehabilitation Specialist with the U.S. Department of Labor's Longshore Harbor Workers' Compensation Program, where she administered the return to work program for injured workers. In that capacity, she supervised 25+ VR Counselors in Texas, Oklahoma, New Mexico and Arizona. Cecile began her career as a vocational rehabilitation counselor with the Texas Rehabilitation Commission. Following that, she worked for many years in private practice as a vocational rehabilitation consultant, job placement specialist and case manager. 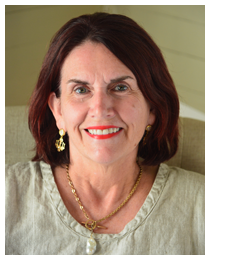 She holds a Bachelor of Arts degree in Vocational Rehabilitation Counseling from Auburn University and a Master of Social Work from the University of Houston. She provides expert testimony for the Office of Hearings Operations.